Send in your good nature photos, please! 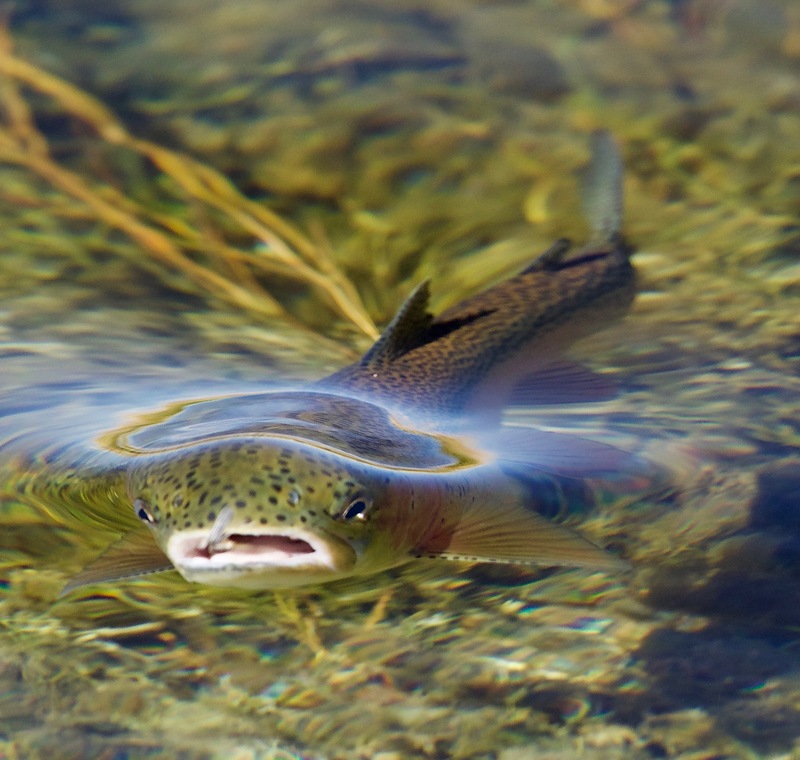 A rainbow trout (Oncorhynchus mykiss) taking an unidentified insect. A mahogany dun mayfly— last mayfly to hatch here in the fall. Common named: could be any of several species and even genera. 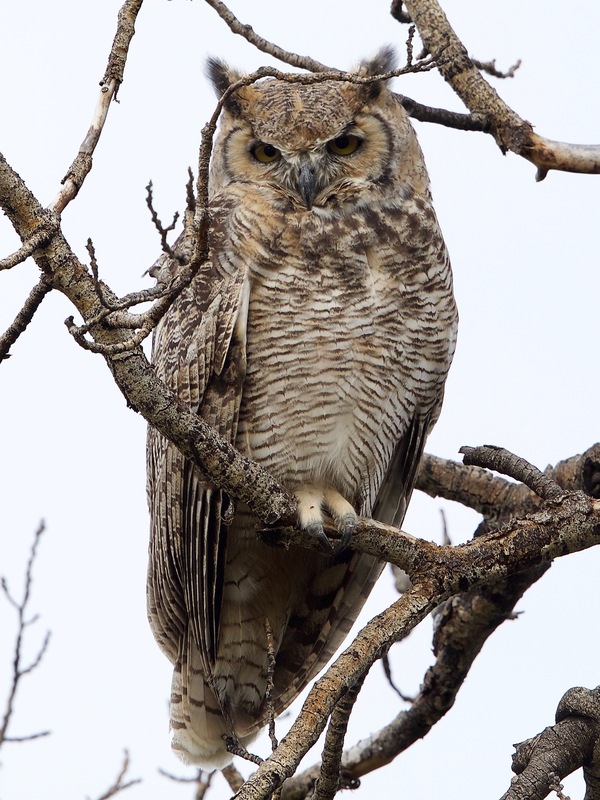 Great horned owl (Bubo virginianus). 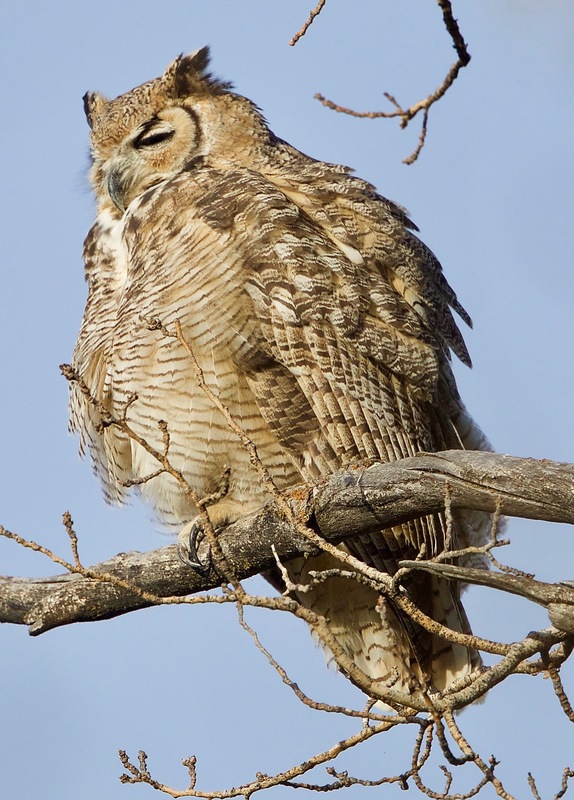 Another photo of the same Great Horned Owl, warming up in the early morning sun. 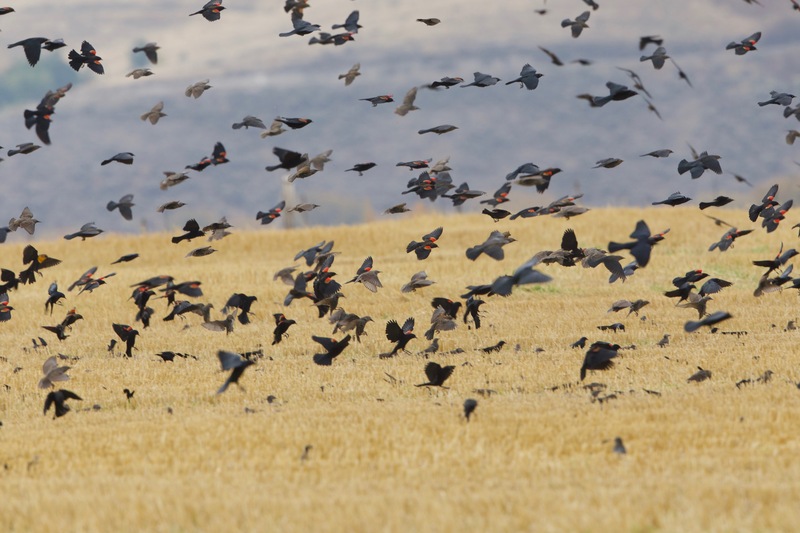 Red-winged blackbirds (Agelaius phoeniceus)gather into large flocks before migration. They like to feed on the leftovers in the barley fields. 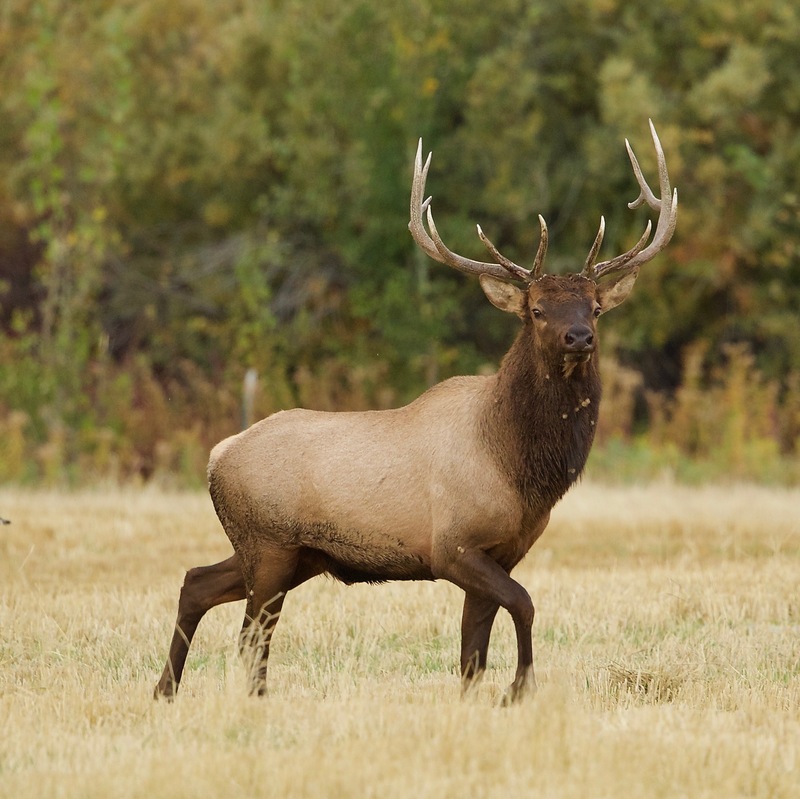 A bull elk (Cervus canadensis), part of a large herd with several “trophy” bulls. A family of sandhill cranes (Grus canadensis) coexisting with a great blue heron (Ardea herodias). This entry was written by whyevolutionistrue and posted on October 3, 2018 at 7:30 am and filed under birds, fish, mammals, photography. Bookmark the permalink. Follow any comments here with the RSS feed for this post. Both comments and trackbacks are currently closed. More typically, the corvids would have been chasing the owl, or whatever raptor it might have been. Beautiful pictures! 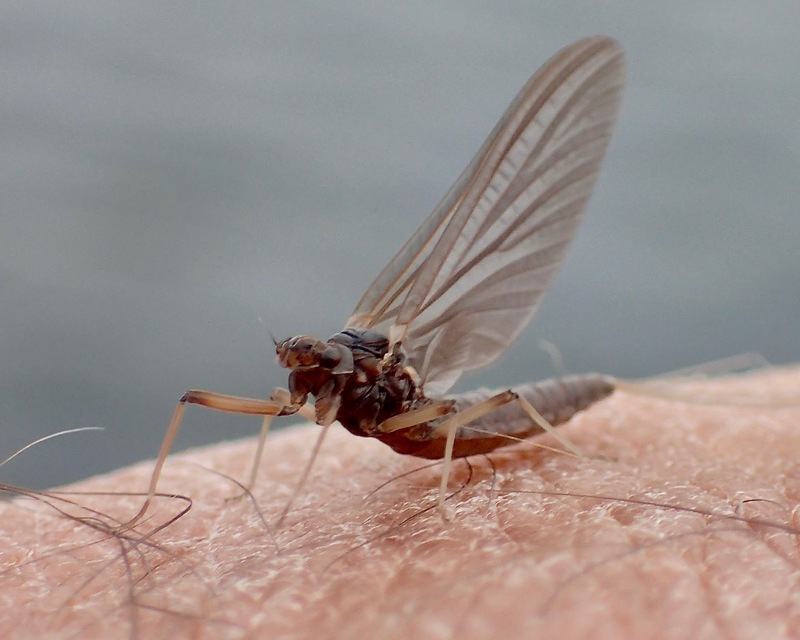 I see you took the fine macro picture of the mayfly with the Olympus TG-4 camera. How did you get the close-up with this camera? The camera has a macro setting (the microscope icon). In general, cameras with small sensors are good for macro photography because they have better depth of field than cameras with larger sensors. It isn’t obvious why this is so, but if you Google “depth of field sensor size” you’ll find explanations. Nice shots. The owl looks like it won’t be cold this winter. So many feathers! Terrific. Horned owls are such majestic birds.